Volta welcomed four companies into the Residency Program, in high growth areas like blockchain, IoT hardware, and Software as a Service (SaaS). 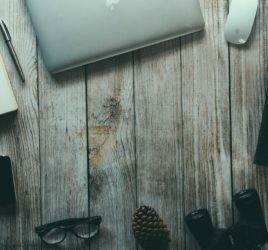 These new residents have moved their businesses into offices at Volta Labs and gained access to more than $50,000 in benefits, such as a travel program, mentorship, in-house experts, discounts and credits, and exclusive founder-focused events. “These companies represent some of the highest potential early stage companies in the region. Having a diverse community of founders, including those who do leading edge work in areas such as blockchain and hardware, plus those with high potential SaaS solutions, is a base to build Halifax’s Innovation District,” said Jesse Rodgers, CEO of Volta Labs. Peer Ledger is a blockchain company specializing in blockchain products for initially the healthcare and precious metal​ and minerals sectors. It offers two products: (1) an identity bridge product suitable for high assurance sectors, and (2) the Mimosi​ track-and-trace blockchain application for responsible (i.e. conflict-free) supply chains. 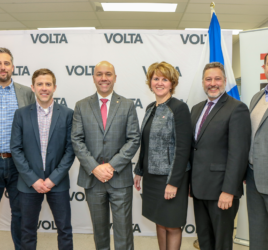 “Joining Volta as part of the vibrant Nova Scotia startup community is the next growth step in our company’s external-facing evolution. We have no doubt that Volta’s community and services will help us on our journey to success,” said Dawn Jutla, Peer Ledger’s Co-Founder and CEO. Deprolabs Technology designs, develops, and produces a wide range of smart electronic devices in the domain of Internet of Things (IoT) and home automation systems. 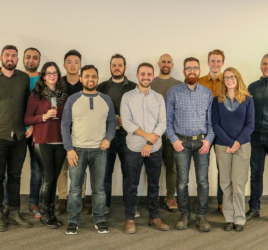 “Volta is a reliable starting point to form your tech business in Atlantic Canada,” Majid Nasirinejad, Deprolabs’ Co-Founder and CEO reflected. CogPro is focused on making small household electrical appliances – thermostats, telephones, stereos, and more – primarily for people with Alzheimer’s disease and their caregivers. These smart devices work in any old home with electricity and telephone connection – no WiFi needed. Their JeevesTM products operate unobtrusively to avoid common user mistakes, customized and monitored by the caregiver. Designed for familiarity and simplicity, their products ensure a secure, satisfying and less stressful quality of life for both user and caregiver. Swell Advantage is returning to Volta as a resident, after a recent business pivot. They build automation tools for marinas, boat clubs and waterfronts, focused on increasing revenue, decreasing operational costs, and providing a better customer experience. If you think our Residency Program could help take you to the next level, get in touch. Apply today. We want to help you reach whatever heights you’re striving for.